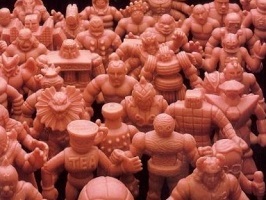 A very special thank you to Doctor Dew from LittleRubberGuys.com for contributing to The University of M.U.S.C.L.E. Peer review is a crucial part of the academic process, and he was gracious enough to offer some invaluable constructive feedback, corrections, and edits. If anyone ever has any constructive feedback, corrections, and/or edits, then please email the University of M.U.S.C.L.E.. Thank you all in advance! This entry was posted on Tuesday, December 15th, 2009 and is filed under UofM News. You can follow any responses to this entry through RSS 2.0. You can skip to the end and leave a response. Pinging is currently not allowed.